CNG: The Coin Shop. Tully, John A.N.Z., The Island Standard: The Classical, Hellenistic, and Roman Coinages of Paros (Numismatic Studies Volume 28). 2014. Hardbound. Website shipping rates do not apply. (GR; RPC). (GR353). 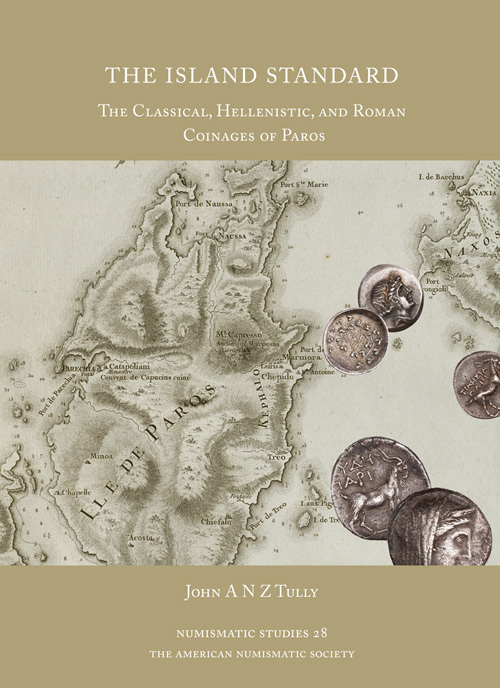 Tully, John A.N.Z., The Island Standard: The Classical, Hellenistic, and Roman Coinages of Paros (Numismatic Studies Volume 28). 2014. 250 numbered pp. and 27 plates illustrating coins. Hardbound. (GR; RPC). (GR353).